The shockwaves of 9/11 hit deep in the tribal areas. Maliks were killed, drones fired and the long-established political agents lost much of their status and authority. The army campaigns against the Taliban forced hundreds of thousands from their homes. Even now IDPs languish in camps. Some fear the conflict is not yet over. Others can’t afford to rebuild properties destroyed by the army campaign against the Taliban. And a few – maybe quite a few – have decided that the bright lights of the big cities are so enticing they are in no hurry to go back home. Many of the women from the tribal areas have had their eyes opened by their experiences outside of their home areas. It’s a situation that raises the question: what is the future of the tribal areas? Have the old structures been so shaken that permanent change is on the way? Before 9/11 many Maliks resisted economic development in their areas. They knew that increasing wealth and opportunity for the younger generation would threaten their power and status. Projects that in other parts of Pakistan would have been welcomed with open arms were rejected out of hand. With the idea that ‘where wheels roll, the law comes’ firmly entrenched in their minds, some Maliks even resisted attempts to build roads in their areas. They also held back education. In South Waziristan there are supposed to be 660 government-run schools – more than enough for the needs of the population. But around half don’t function: instead the elders filch the funds allocated by the government. No wonder the literacy rate in the agency is an outrageous 29 percent for men and five percent for women. The world of the Maliks has long looked anachronistic and archaic but it is now under real threat. With US, Saudi and UAE money the Pakistan Army has implemented a massive construction programme. Roads, irrigation systems and electricity supply and distribution networks have all been built. It is a remarkable fact that South Waziristan now has a better infrastructure than many of the nearby settled areas. There are now two visions of the future of the tribal areas. One, advanced by politicians and academics such as Imran Khan and Akbar S Ahmed involves a return to the tribal structures of old. The tribal culture, the argument goes, was created over a period of thousands of years and is so deeply entrenched within tribal society that the damage done over the last decade will soon be repaired. And it’s not just that the tribal system is likely to re-emerge, it is argued: it would be positively beneficial if it did. The Maliks need to reassert themselves because only they will be able to control the Taliban. Once the Americans leave Afghanistan the jihadis’ best recruiting tool will have gone. The Pakistan Taliban will be a diminishing force unable to inspire young men to fight. Those that remain committed to jihad will find themselves increasingly isolated, unable to challenge the re-established authority of the Maliks. Imran Khan goes even further than this pragmatic argument. The fundamental ‘democratic’ structures in the tribal areas, he says, endow the men there with an unusual degree of independence. He see the tribal social structures as an idealised form of local, Athenian, democracy in which the citizens (just the male ones presumably) are in charge of their own lives and their own communities and as a result are endowed with a certain proud nobility. But there is an alternative view of the tribal areas. The critics of the system say that the Maliks, far from being proud inheritors of an ancient, finely honed political system are local potentates holding their communities back so as to hold onto power. And for centuries all they have delivered is poverty, a lack of education, and appalling health care facilities. For all the attempts to romanticise it, life in the tribal areas is nasty, brutish and short. And under this second view, while the Maliks may complain about the Frontier Crimes Regulations, the collective punishments and detentions without trial are in fact an integral part of the system that keeps them in power. The tribal areas, in short, are regressive, backward and archaic and in urgent need of change. The post-9/11 decade has been so traumatic for the tribal areas that the time for change does indeed seem to be at hand. But the Maliks still have a hand to play and if past experience is anything to go by they are likely to play it well. 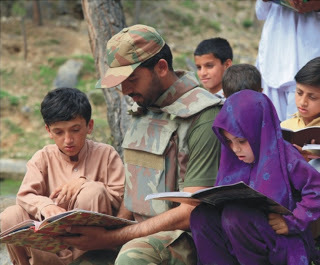 Take the example of South Waziristan today. The Taliban in North Waziristan, fearing a government offensive, are already trying to prepare escape routes. Many are slipping into South Waziristan, making contact with their connections in Wana and asking whether they might be able to lay low there until any army campaign is over. The military, keen to deny the Taliban sanctuaries, is asking the Maliks to deny the Taliban safe places to stay. The situation is giving the Maliks the leverage they need to reassert themselves. Many people pay lip service to the idea that the tribal areas should be more fully integrated into the rest of Pakistan. But mainstreaming Fata will involve hard choices. While relying on the Maliks to control the Taliban may make tactical sense, in the longer term it will frustrate the drive and need for reform.